The Bishop of Chester, Peter Forster, cast his eyes over the male applicants for the vacant See of Stockport in Greater Manchester, and despaired. He’d rather wait for a change in the law than appoint any of them, he hinted. And so he did wait, for seven long months, since Stockport has been without its suffragan since May 2014, when the previous incumbent the Rt Rev’d Robert Atwell was translated to Exeter. And the law did change, just as the Rt Rev’d Dr Peter Forster prayed. And women priests were permitted to become bishops. And the Rev’d Libby Lane was among the first to become one of the female representatives who sit in the House of Bisops as observers. Her promotion was never assured – she is, after all, only a parish priest, and surely there are many venerable deans and archdeacons who might be considered before her. But God chooses what is apparently foolish in the world to confound the wise, and He chooses what is weak in the world to shame the strong. His ways are not ours. 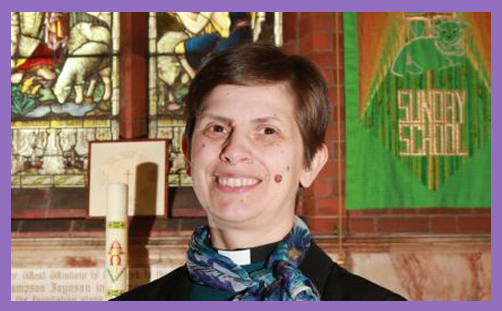 With this announcement, the Rev’d Libby Lane makes history and is to be commended and congratulated. Women have been permitted to become deaconesses in the Church of England since 1861, after the pattern of the New Testament which records the contribution of women in the administration of the Church. They were able to be ordained deacons in 1987 and priests in 1994. Some will cling to the letter of Scripture and insist that women may be neither priests nor bishops, and that ministry is “tainted” by the laying on of hands. Still other will wait to see how episcopal care may be extended to those parishes which demur, in conscience, and what alternative provisions are made for their oversight in the overlapping jurisdictions of a third province. Still others will find this the last straw and simply depart. As we reflect on the meaning of communion and continue praying for the visible unity of the Church, it is worth remembering that throughout the ages God has raised a number of women to lead His people when the men were found wanting. Their function is not simply to remain silent in church or sit submissively with their husbands, but to manifest a charism which is legitimate and independent. There are obvious differences of nature and culture, but they are not addressed by the patriarchal dominance of ‘complimentarity’ and other convenient linguistic transactions. Women have risen and taken central roles in politics, commerce, education, the construction of knowledge, law, artistic endeavour and the whole of public life. We can use the Bible either as a tool of oppression or a source of emancipation. If we approach with grace our arguments over Scripture, tradition and the nature of godly authority; if we examine with humility our cherished beliefs, assumptions, doubts and gnawing objections, we will surely find the liberating truth of a feminist hermeneutic.